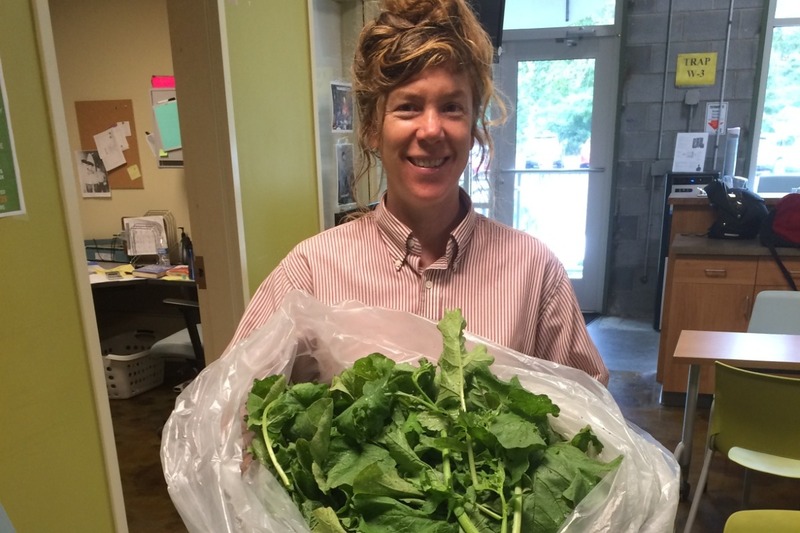 · We have been a source of fresh produce for the prison dining hall. 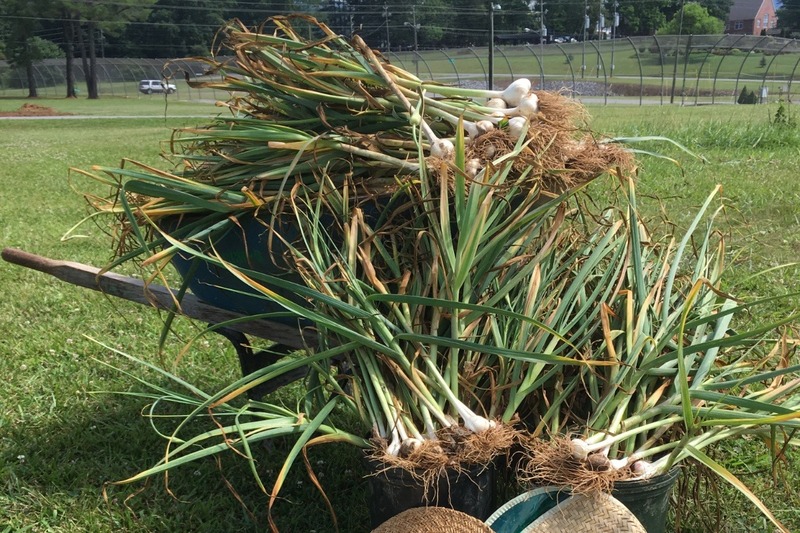 For the last two seasons, staff and prison residents alike have admired our harvests. 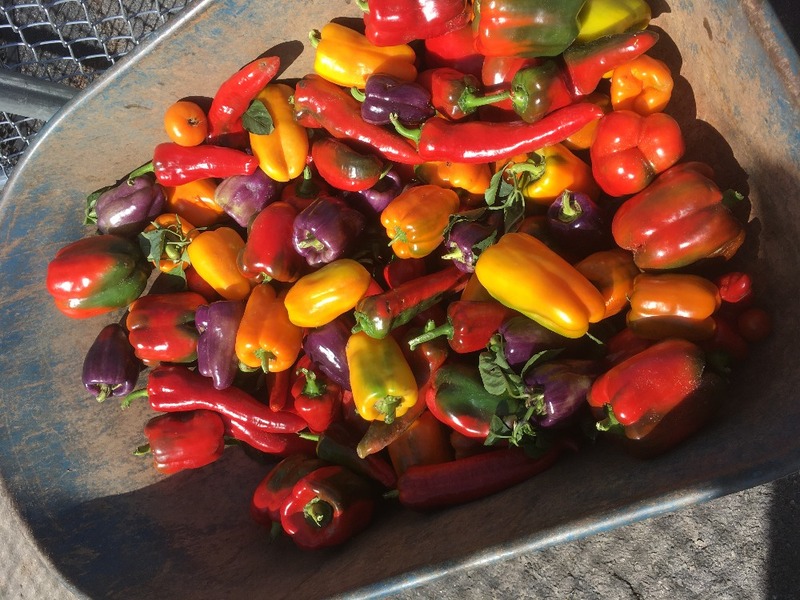 Our fruits and veggies have been served with pride, bringing the seasonal colors and flavors often missed by the inmates. · We have donated hundreds of pounds of food to MANNA Food Bank! In the process, we have worked more closely with MANNA staff members, deepening our relationship to that vital organization and to service in general. We look forward to further collaboration with MANNA. · We have had two very successful plow day events with Warren Wilson Collage. The WWC farm managers worked side by side with incarcerated participants to prepare our garden in the spring. Afterward, inmates, staff members, participants from Warren Wilson and other volunteers had a cook out around the garden together. It was a joyful time and we hope to make this an annual event. · We have vended at the Black Mountain Sourwood Festival for two consecutive years. We sold beautiful plant crafts and house plants grown in our greenhouse in order to raise funds while simultaneously imparting entrepreneurship skills. Most importantly, the incarcerated participants were able to vend at the festival booth and witness first hand while patrons admired and purchased their hand made products. · Our herb garden has been thriving and we have found a wonderful venue for distribution of our medicinal teas: Bounty and Soul. A community organization that is committed to cooperation, nutrition literacy, health and wellness, Bounty and Soul is another vital organization that we look forward to collaborating with in 2019 and beyond. The last two growing seasons have left us full of gratitude and inspiration! They have not only shown us what can be accomplished when we work together, but have also motivated us to increase our collaboration with community partners and individuals in order to grow an even more fruitful future. It is due to this inspiration that we ask for your continued support. We have updated our fundraising goals in order to keep our garden thriving while planting the seeds for future programming. For 2019 and beyond, your support will help us purchase necessary supplies and equipment such as: more compost (100 cubic yards is the ideal amount to keep our soil fertile, the average price is $50 a cubic yard), an irrigation system that would conserve water and labor, a storage shed, a few new tools for more efficient weeding, row cover for growing greens in the winter, potting mix, organic fertilizers, organic pest control, pots, trellising supplies, drying racks for herbs and more. 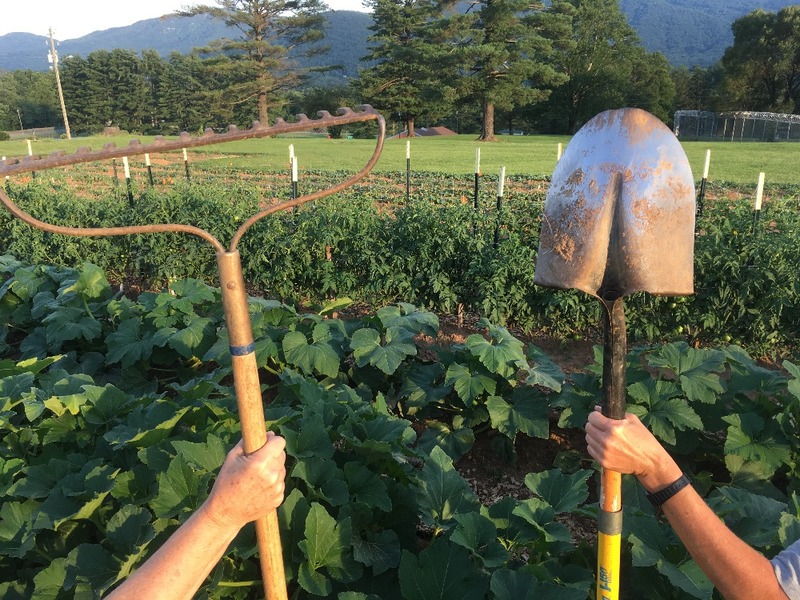 - Feeding our soil and keeping waste out of the landfill by starting a comprehensive compost program at the Swannanoa Correctional Center for Women. Prisons around the country are composting hundreds of pounds of food waste per week and turning it into an invaluable resource to grow food. Making our own compost will also keep us from needing to purchase it in order amend our garden, therefore saving money! - Offering workshops on how to market and sell handmade items. Many incarcerated women have a craft practice. Having the training to turn that practice into income could have a huge impact upon release. Especially in the immediate months after prison, any income that can be generated is extremely advantageous. As well, a craft practice can mitigate the stress of the reentry process. - Expanding our efforts beyond the prison, to places such as transitional homes, recovery houses and shelters. We see a great need for support for folks when they are released from prison and many people go to houses such as these at the end of their sentence. By creating “after care”programs that bring the healing benefits of gardening and community collaboration, we can assist in ending the cycle of incarceration. 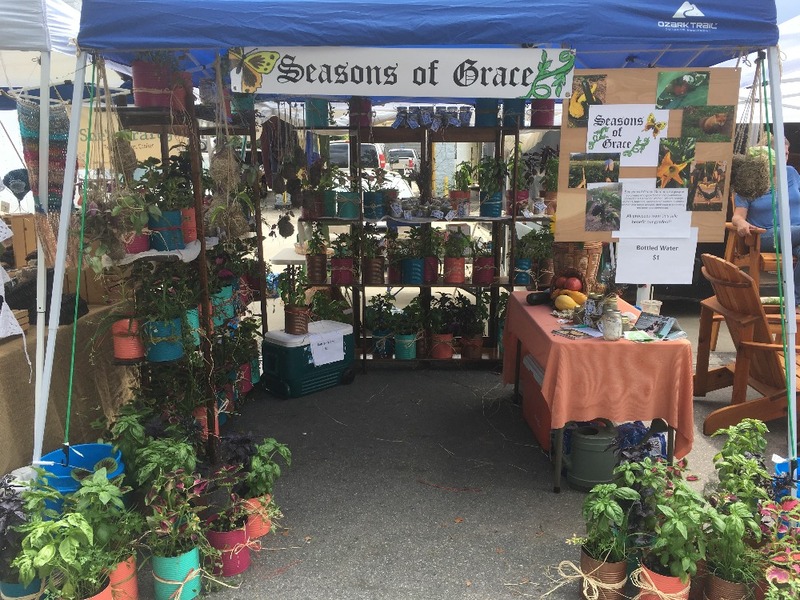 By supporting Seasons of Grace, you are supporting: hunger relief and food security in WNC, sustainable environmental stewardship, empowerment and healing for incarcerated women and mothers, and healthier communities all over North Carolina. 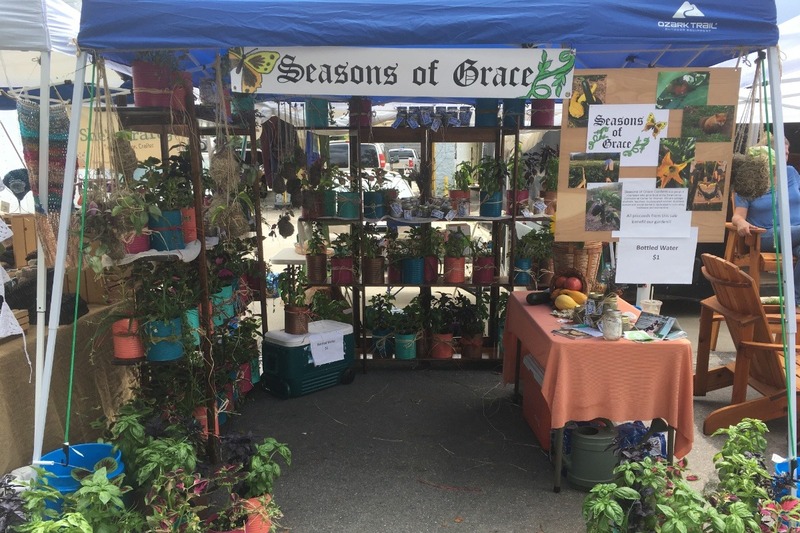 Seasons of Grace is sponsored by our fiscal agent, Mountain Bizworks, a 501(c)3 nonprofit. Your donation is tax-deductible. Seasons of Grace has given our Gofundme page a makeover! We are proud to share our accomplishments with you (we couldn't have done it with out you) as well as our new plans and inspirations. 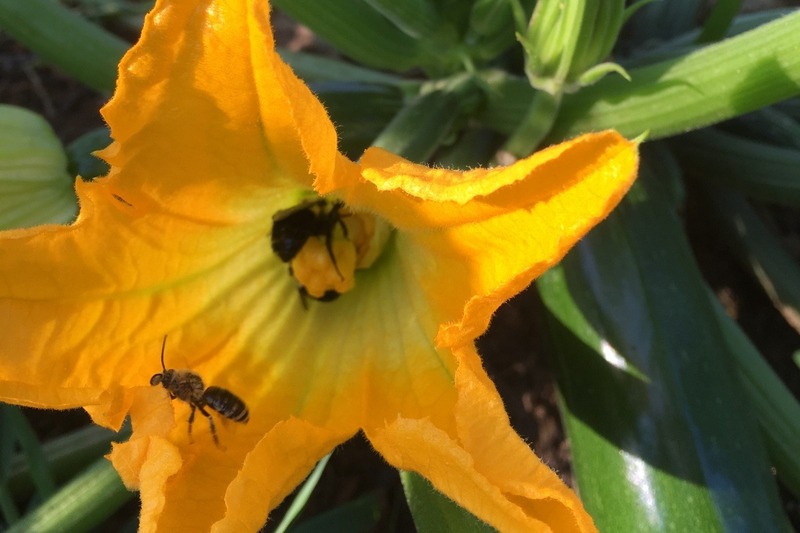 We have updated our fundraising goals in order to keep our garden thriving and plant the seeds for new projects in the future. We ask for your continued support! Please share with your community, especially any folks who may not have heard of us before. A donation to Seasons of Grace makes a great gift! We wish you a happy, healthy New Year!!!!! There will be a New Volunteer Information Session for prospective volunteers on Sunday January 21st, 2018 at 1pm at Ginger's Revenge, 829 Riverside Drive in Asheville. Program coordinator Sally Reeske will give a presentation on the efforts of the project in 2017 and plans for the coming year, as well as volunteer needs and requirements. Snacks will be served and the bar will be open for purchases. 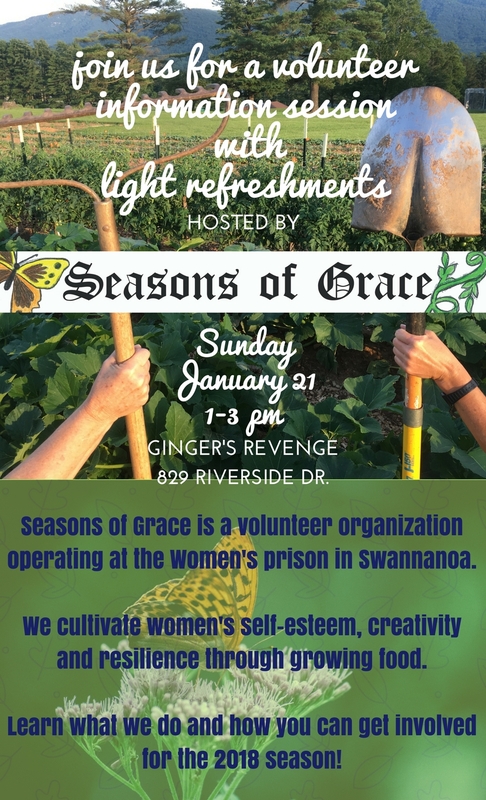 Hello friends of the Swannanoa Correctional Center for Women's Prison Garden! To grow a foundation to build women’s self-esteem, creativity, and resilience through growing our own food, to express appreciation to the community by offering the fruits of our labor, to cultivate connection and a wholesome, nutritious, healthy outlook and to develop agency and empowerment by starting and finishing a season." Significantly, we were able to grow some beautiful produce this season. 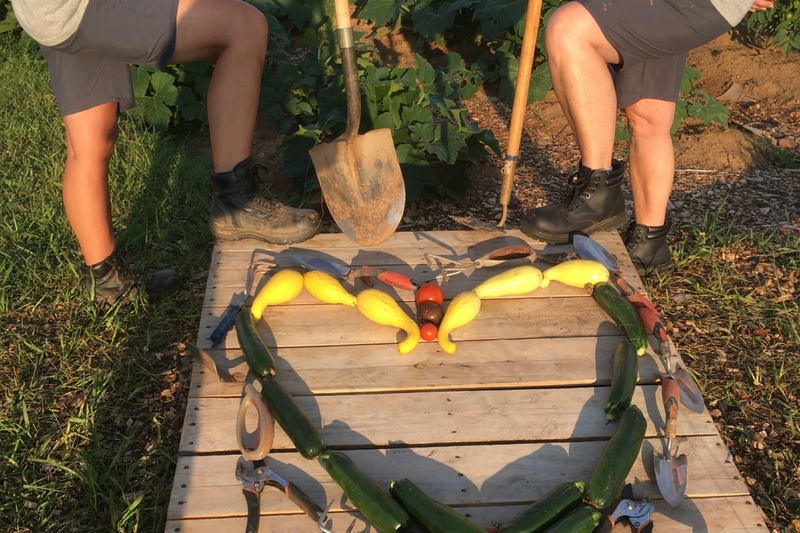 Summer squash, tomatoes and sweet peppers grown in our garden have been being served to the entire inmate population (300+ women!) and met with rave reviews. One of our seasonal goals had been to provide every woman with one serving of watermelon (a rare treat). We ended up growing enough for everyone to eat watermelon 3 TIMES! (One of our proudest moments.) 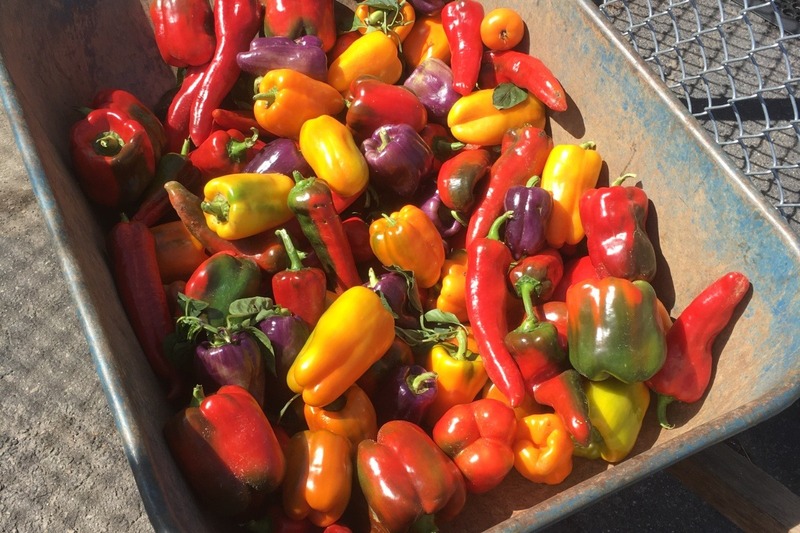 We even grew enough peppers for the dining hall to serve Stuffed Peppers for dinner one night. And, true to our original goals, we also have been donating produce to Manna Food Bank. Manna even sent us a handwritten letter thanking us for our beautiful spinach. Donating to them has been a wonderful experience for us and we looking forward to working with Manna more in the future. We also conducted an off-site plant sale at the Sourwood Festival in Black Mountain with great success! Garden coordinator Sally Reeske and the inmate garden volunteers met with Mountain Bizworks coach Jodi Rhoden, to create a cash flow and marketing business plan for the plant sale, ensuring a successful fundraiser while imparting valuable entrepreneurial skills. During the sale, the community really came out to show support. Not only were we able to generate income, but we also made some valuable connections with community members. We have many more plans for the 2018 growing season. We plan to step up our gardening game and take our entrepreneurial skills to the next level! Your continued support is so important to us. We would not have come this far in one season without you. With gratitude and love, Happy Holidays and Happy New year from Season’s of Grace! Thanks to all of your support, we got our compost yesterday!!! Next Goal: irrigation! 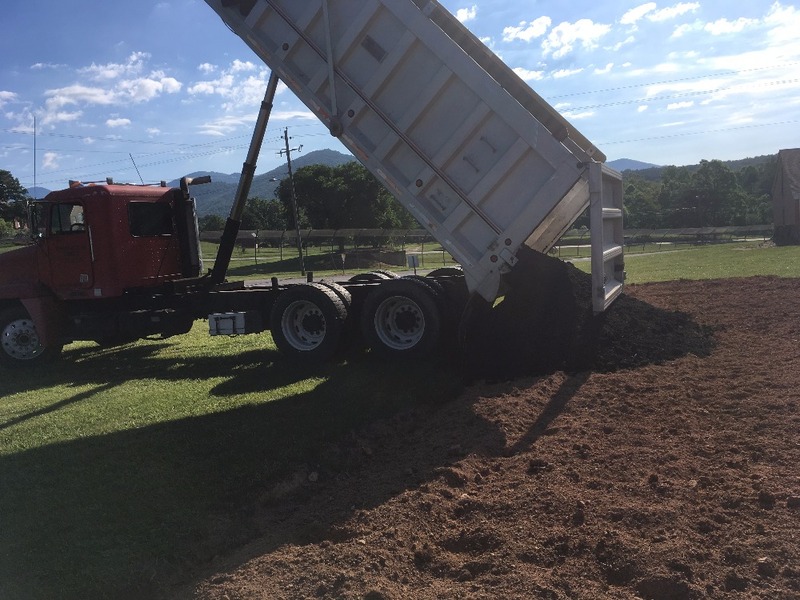 We would especially like to thank Asheville Mulch Yard for making the delivery of compost on behalf of Danny's Dumpster. Today we will transplant our squash! Growing food is healing and nourishing! This donation is in honor of Juliet Blankespoor's birthday! Yall are rocking it, YaY! !